This Adventure, Our Life: Taking Care of Business (Awards) and MORE! Okay, so I have MANY photos (and did not take Digital till later, film people film!! )...This one is from April 2001. We were in Mammoth with my parents. We were not married yet, but had been dating for about 4 years... We were just getting ready to hit the slopes skiing for the day! It was a great day. At this time I had known Tony for 7 years :) of course for the first 3 years we pretty much disliked each other, go figure, a story for another day! 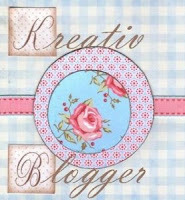 Dawna from Hiccups in Time , Amy from Marvelous Mommy and Jenny at I'm a Full-Time Mummy have also awarded me the Versatile Blogger award! 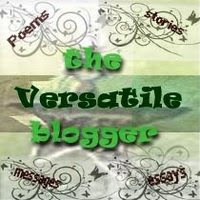 I also wanted to send a Thanks out to Laura at Melodramommy for mentioning me HERE. If you have not check out Laura's Blog, you should. It is hilarious!! You will not be disappointed!! Thank you also to Diana at Hormonal Imbalances for the nice words HERE. I appreciate it. Thank you for being a great blogging friend. I look forward to reading your blog every day! Okay and that my friends is all! Now, go vote for Bailey, she needs votes! !